NW10 is one of the largest postcodes in London. It spans from Park Royal at the South-West corner to Kensal Green to the East and Neasden to the North. It has a very varied demographic ranging from affluent households in Kensal Rise and Queens Park to more working class areas of Neasden and Harlesden. Even within each one of these areas the demographics are varied on a micro level. This is where are local knowledge comes into play. NW10 is our home postcode. The company was started here and the first deliveries we've ever done were undertaken here. It is one of our staple postcodes we deliver to on weekly basis. When it comes to leaflet distribution in NW10 a well designed mapping system is a must. We have spent a lot of time breaking down exactly where the border of each map should be a how we should group areas with similar demographics together. Approximately 25% of the population of NW10 is over 45 years old. A half of all the households here are either single person households or couples without children. Saying that however there are areas we specifically recommend for targetting families. The areas around schools in Kensal Green and Kensal Rise have a big potential for companies looking to target families. The easter part of NW10 neighbouring on Queens Park is also great for this. When we mention the Kensal Rise area we have to talk about the recent developments in this part of NW10. It is very close is to Notting Hill and Labroke Grove with excellent transport link to Central London. 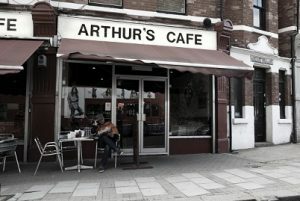 There are many local restaurants, shops and parks especially around Kensal Rise station. Due to this many London professionals have started moving to Kensal Rise and it is one of the most up and coming areas in London. Some of recent famous residents include for example Daniel Craig of Jade Jagger. One of the advantages of running leaflet distribution in NW10 is the fact that most households are concentrated in houses rather than block of flats. Even though these houses might be split to multiple flats they are still very easy to reach and deliver to. We do not have to deal with the problems that make distribution in some areas of London difficult. NW10 is easy to navigate with our mapping system and there are no large numbers of inaccessible blocks of flats with a concierge. Our experts can help you decide which parts of this postcode would be appropriate to target with your leaflets. Some companies will benefit from targeting larger homes around Gladstone Park, Chelmsford Square or Tiverton Green. Others might be advised to cover the long winding roads of Church End and Roundwood. Another fairly specific part of this postcode is Park Royal. This is the largest industrial park in Europe and when we occasionally deliver leaflets for some of our B-to-B clients this is the place we look at first. There are literally thousands of businesses and surprisingly accessible offices. We even target this area with our own brochures and have gained many long term clients by doing this. Our team can also help you tailor your design to different parts of London and NW10. We offer pre-print free design consultation service to all our customers. They way this works is simple. If you have a leaflet design and you haven't printed your flyers yet we can have a look at your file and offer changes that might make your leaflets more effective. We have years of experience in graphic design, branding and leaflet distribution. The combined knowledge of these gives us a unique ability to tailor the way your leaflets come across in every market. Different types of households are going to be responsive to different types of design. The same leaflet will not work the same way in Knightsbridge and Hackney. Different demographics have different expectations and are responsive to a different kinds of branding, offers and design in general. We can help you either with suggestions that you can pass on to your graphic designer or we can offer our in-house design services to build your leaflet from scratch. The combination of expertly executed deliveries with careful planning and tailored design is what you need when you are looking to run the most effective leaflet distribution campaigns possible. Especially in a competitive place like London.